Local comedian, Stuart Taylor, will have you laughing out loud on Sunday 4 March 2018 at Hanover Street, GrandWest. This Hanover Street Comedy Sundowners show is sponsored by Savanna Premium Cider, the brand that specialises in funny. 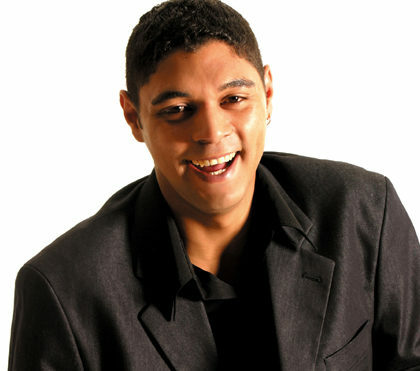 Stuart Taylor, born and bred in Grassy Park, is probably best known as the actor in Going Nowhere Slowly. He has been performing stand up comedy since 1999. Another local funny man, Carl Weber, will be hosting the show. He has recently starred in a stand-up show called Bloem Boykie Diaries and he also hosts Happy Hour, a comedy show on Good Hope FM with fellow Comedian Dalin Oliver. Other supporting acts on the night will be Angel Campey and Khanyiso Kenqa. “This is going to be a lot of fun, if you like to laugh you should definitely come and see these excellent comedians,” says Matthys. Stuart Taylor in Hanover Street Comedy Sundowners at Hanover Street, GrandWest is on 4 March 2018. Doors open at 17h00 and the show starts at 18h00. Tickets cost R50 each, call 082 588 6662 to book tickets.